Over one million people are employed in UK contact centres, according to research conducted by ContactBabel. This is over 3.5% of the entire UK workforce and with call centre operators expected to generate £2.24bn revenue in 2012-2013 there is no doubting the importance of the call centre as a sector in the British economy. The first ever call centre was set-up by Direct Line in 1985 and nobody could have anticipated the impact call centres would have on the UK service industry. Although predominately established to save money. 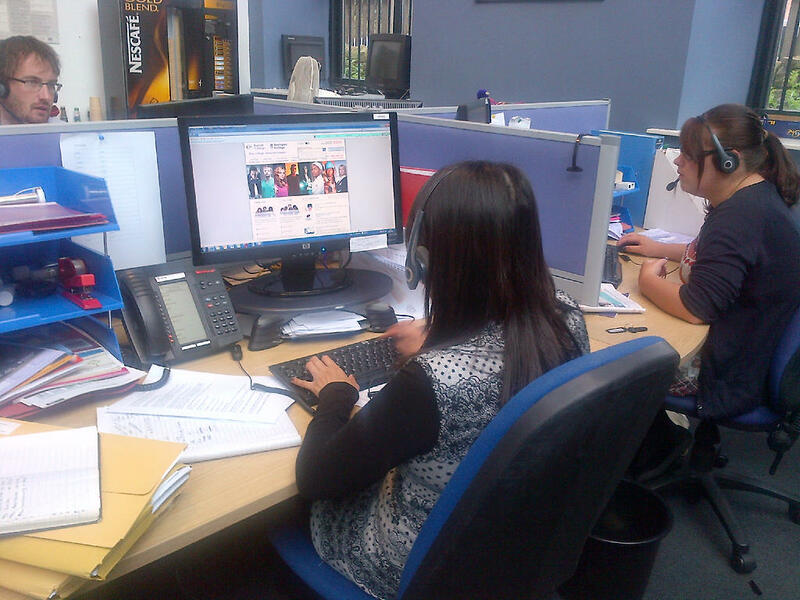 common perceptions of call centres are often that they have become the modern day factory production line. Regularly featuring on public surveys of the most annoying things to do, there used to be a common perception that contacting a call centre would mean endless queuing; being transferred from one department to another and never being able to resolve your problem. However, recent research has shown that one third of call centre employees are graduates and pay is on the increase, with complaints decreasing every year. So what does a call centre look today as a place to work? The average size of a UK call centre is 120+ with agents doing a combination of inbound and outbound work (although outbound calls only accounts for 29% of total calls) ContactBabel 2008 . Many call centres have extended opening hours (some include 24/7) and they therefore represent a flexible option for working parents trying to fit working around the demands of family life. Working within a call centre is no longer perceived as a monotonous position with no progression opportunity but in many cases a way to learn the business at grass roots level before endeavouring to rise through the ranks. At Answering4u we offer both inbound and outbound services, 24 hours a day. The blending of the two services together enables us to get closer with our clients and ultimately add value to what they do. We have 18 staff who work a variety of shift patterns and all bring something different in terms of skills, knowledge and expertise. Being a 20 seat call centre we offer a personalised service and are able to respond flexibly to the needs of our clients. We have much of the same technology as the larger call centres but are able to deliver the service in a much more individual way. Anybody can take a call but it takes a specialist skillset to resolve the query or to turn that call into a sale. We offer a fully outsourced solution in which we act as an integral function of your business. It’s the follow-up action both upstream and downstream of the call which fundamentally makes us different from other call centres in the marketplace. We’re constantly investing in our staff to ensure that we offer a premium services for our customers. If you like further information on how we operate our services at A4u – feel free to drop us a call on: 0113 4900 287.